Squash is a very versatile veggie, probably because there are so many different types of squash! It can be used from everything from salads to soups, pasta to dessert like these pumpkin butterscotch bars! 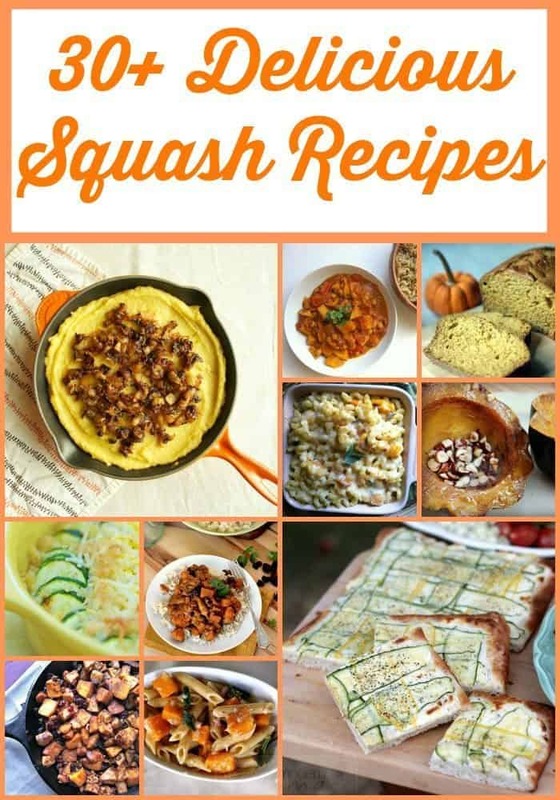 Here are over 30 delicious squash recipes for you to try this year! Squash is one of my favorite vegetables & one we cook frequently. Pumpkin & zucchini are the favorites among my kids, but my personal favorite is butternut. I love that you can make squash into a savory dinner or use it to make a delectable dessert. A pasta replacement or turn it into a quick bread. Here are over 30 Delicious Squash Recipes that will give you tons of options on what to do with the famous squash that you can easily grow in your garden. Don't have a garden? Watch the farmer's market & the grocery store for some great deals! Stuffed Zucchini Boats – How Does Your Garden Grow? Don't forget to check out the collection of delicious pumpkin beverage recipes & 25 pumpkin recipes we found!